Grateful Imperfections: Family is precious; time is short. Family is precious; time is short. 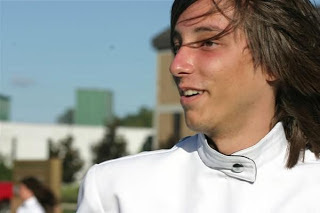 Today I remember one of the most incredible young men in my life; my cousin, Blake Varab. Four years ago today I woke up to get ready for work and saw that I had several missed calls from several different family members. At the time I would put my phone on silent to avoid being awakened in the night; I haven’t had my phone on silent since. I knew immediately something was wrong. I called my cousin Krissy since she was the last one that had tried to reach me and frantically I asked her what was wrong. She began to tell me something that I would never be ready to hear. She told me my 18 year old cousin had died the night before due to undetected heart defect and they were trying to get a hold of me so I could come say goodbye. Blake and I were pretty close. We had somehow created this incredible family bond and I really admired his heart and his friendship. There are not enough words for me to describe just how awesome he was in every area of his life. He was a wonderful son, brother, friend, cousin, nephew, grandson….the list could go on and on. For those of you who knew him, you know what I mean. I always knew my cousin was one of a kind, but when he passed away I was overwhelmed with pride when I saw how much the entire community adored him. The high school he went to celebrated him in such a special way, there were signs throughout our community from businesses saying how much they missed him, people reached out to our family more than I could’ve imagined, his funeral was flooded with hundreds of people; the walls of the church were lined with people standing because there was no where else to sit. I remember walking on the platform of the church with my husband to sing a song at Blake's funeral and I looked out at everyone completely overwhelmed with how many were there for Blake. It was the hardest time in my life yet such a special memory. The song Jordan and I sang at Blake's funeral holds a special place in my heart. Although it’s been four years the pain is still very real and remembering this day and remembering my cousin is not always easiest. However, I know that Blake is in a place far better than here and I know he’s smiling down on all of us. So, today Blake, I celebrate you in joy, in peace, and in laughter. I know you wouldn't have it any other way. You my cousin have created such a legacy for yourself. I’m so proud of you. Though I wish you were still here, I wouldn't trade all that happened for anything. You have changed the lives of so many people. You have helped shaped your brother Josh into an incredible man. I look at him all the time and see you through his eyes. Josh amazes me each day with how much he’s grown. I’m thankful to have built a bond with him like I had with you. Josh is going to do some incredible things and I know you’ll be with him each step of the way. Thank for you touching my life the way you did. I love you Blakey and I miss you! Family is precious; time is short. So I encourage you to make sure you tell each other how much you love one another. Don’t take one minute for granted because you never know when you will have to say goodbye. Most importantly, spend time with one another and make memories that will last a lifetime.